Digital Marketing. We know what it is. We know what it does. Or Do we? A new method, a digital way to market your product. You ask me, it is the one add-on, no business should ignore. The one way, which holds the potential to give any business new heights. Not just marketing, not just reaching out to people, not just socialising, and not even earning the top position in the google search. 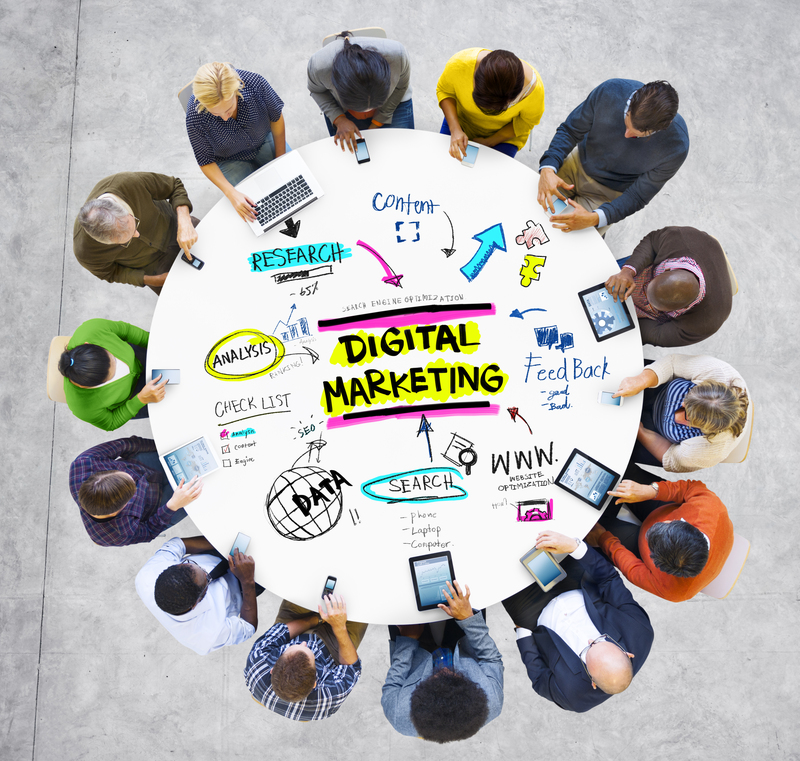 Trust me digital marketing is always a little more than your current understanding. The more you comprehend, the lesser you know. The more you use it, the better you become. “The greatest enemy of knowledge is not ignorance, it is an illusion of knowledge.” says Steven Hawking, the genius who never fails to amaze the world with his brilliance. We are filled with myths, which are a dangerous phenomenon, as they restrict our ability to carry out what might lead to a phenomenal success. In this article, I have made sure that whilst you are told about the myths, you get related practical and effective methods as well. You already know, strategizing your publishing is important. What most people do is, create a random strategy by putting in related content for some special days, and using the same pattern week by week. Well, please let me know how successful this one is! You are not only spreading your brand name but, making sure that it reaches the relevant audience. With strategizing, you deliver a hidden message ‘Clear and Loud’, What is your speciality. You need to give the viewer a cause to choose you, and not your opponents. First things first, Analyse your site. 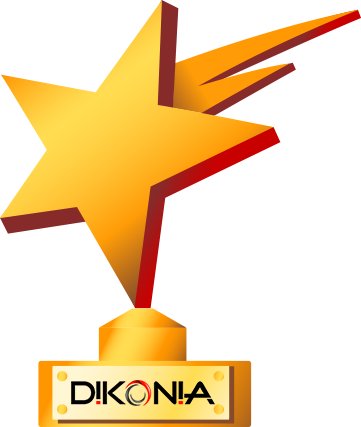 We offer free website evaluation, at Dikonia, you can contact us to know about all the mistakes you are making in your current web portal. A thorough analysis is mandatory. Now, make a 1-month campaign strategy first, and make sure there is a pattern followed. Whilst coming up with a strategy you need to consider the information you garnered earlier. There always is a scope of betterment. Month, by month you must analyse and make the strategy better. Customer Value Optimisation is our target! 72% of marketers say that relevant content is the most effective SEO tactic! 2. I have a huge Client Base, Word-Of-Mouth would do the rest! It takes 12 positive experiences to make up for one bad experience. And, who doesn’t want to grow? Digital marketing doubles the pace of that growth! Here, you are not advertising exactly, having an existing client base would be an extra asset. The customer interests keep on evolving with the technological advancement. To give your opponents a tough competition, you should stay a step ahead, in terms of trends, website design, mobile responsiveness, social media reach, and the list goes on. With Content Marketing, Social Media Marketing, Mobile Marketing, and Email Marketing you reach your potential customers both Globally and locally! Whilst Search Engine optimisation remains to be a one-time investment to reach for Google’s Rank #1. Which is, indeed, time taking but the best thing that can happen to a business. Difficult it is to reach Rank #1, even more, difficult it is to have your rank increased once you do! Growth is limitless, especially when we are on a global platform. Whilst there are billions of people across the globe, you are only reaching a few hundred or thousands! The purpose of a business is to make most profits with least investment. Digital Marketing does that, and this criterion is not only a matter of concern for small businesses. According to McKinsey, marketing operations give a 15-25% of improvement in marketing effectiveness, as measured by ROI and customer engagement metrics. An effective marketing strategy and intelligent SEO will bring magical boons. 4. Why should we, when our opponents do not? If your competitors are not making use of Digital Marketing, you can take benefit out of this. There are assured benefits. Be a trend setter, and not a follower. If all think alike, then no one is actually thinking. Understand your market, and make use of it to get a wider reach. If your opponents do not, then it is better you start today. Make them, follow you! Buyers who use social media have 84% larger budget than those who do not. Recommended Read: Get 3X more leads from your wdebsite in 30 days. 5. SEO is powerless now! Google updates its algorithm approximately twice a day, although the changes are not big ones. However, recent updates like Penguin Update and Fred Update shoot the SEO world. They say SEO is no more. But, my friend, it has only gotten more complex. Like Bill Gates said Content is the king. Especially after these updates, yes it truly is! People work on limited aspects of SEO and diagnose its failure. However, there are more than 200 aspects that need to be considered. People usually don’t follow anchor text strategy and continue using Black hat SEO techniques. A person with sound knowledge of the subject would know SEO is a time taking process but garners incredible results. You wish to reach Google Rank #1, you will. And, once you do, no one can bring you down. But, it will take time. Search Engine optimisation is a one-time investment and is more powerful than ever. Social media can bring you business, but the ranking is only optimised by SEO, which is a prominent part of Digital Marketing. 6. One successful strategy is a lifetime treasure. Congrats, on your successful marketing strategy. Every day, what you post brings you a great deal of traffic? Well, in my experience with marketing strategies, I believe they need to be updated constantly. With a pinch of new, you reinvigorate your viewers. Your aim is to keep your viewers engaged. Marketing Strategies calls for analysis, creativity, intelligence, and keeping up with the latest trends. For this purpose, you might need to get your website redesigned. For instance, we recently worked on the project of redesigning the e-commerce website Miguel’s . The profit charts are climbing for a notch since then. With this project, the point was setting a new standard for the competitors. With this redesigning, Miguel rejuvenated the lost clients and made the customer experience better. Now, to have your strategy get you best benefits, you must make sure that your web portal supports it. The latest Google’s updates have put much emphasis on the relevancy of content, and now new design trends are revolutionary. Constant benefits are brought with constant updating, not the website, but your approach! The same updating style on every Social Media. In many cases, I have noticed that people use a similar approach in the many social media they use. No. You are doing it wrong. Firstly, understand what the particular social media is for, after which you decide on your approach. To increase your reach there, you must focus on the trends and the usage of the platform. Your business might not be relevant for all Social Media Platform, be specific about where your focus and business lies. Mostly my agenda is to compel the viewer to get to the website and at times my focus changes to spread the brand name. Now, for promotion, where investment is required I need to be very specific considering analysis and business profits. You can reach out to a relevant audience without investments as well, it’s the understanding of Social Media and strategy you use. ROI is optimised, by making sure that you have a perfect comprehension of your platforms, whilst adding creativity and your intelligent strategy. Social Media does wonders if combined and utilised right! Again, this does not happen overnight. Must Read: Simple ways to grow your business exponentially. I discussed a few of the many myths here! Digital Marketing, will generate leads and bring you more business. But, you need to select the right and knowledgeable person for that to happen. Try to rely your opinion on statistics and practical customer behaviour. Our viewers have requested for tips about our specialised IT services, follow us on Facebook, Instagram, and Twitter to get updated. You can make a request yourself by contacting us. The upcoming article would be about Why apps like Pokémon Go and Mini Militia are such a hit! You wouldn’t want to miss that.